Earlier this year, I wrote that Indiana Regulators Reject Smart Meters for Duke Energy. The headline news was that state regulators rejected a proposal from Duke Energy to raise customers’ rates, in part to pay for a proposal that would have allowed the utility to unnecessarily install costly, privacy invading digital ‘smart’ meters in every home in its service territory. Duke’s petition … included a $177 million request to install expensive, invasive, and unnecessary smart meters in every home and business in their Indiana service territory. To add insult to injury, they wanted to continue to earn a return on the investment for the old meters they were proposing to remove while simultaneously recovering the costs (plus a rate of return) of the new smart meters! Unacceptable. Duke should not be allowed double recovery! Smart meters should not be mandatory. Duke should be required to offer the smart meters to customers as a voluntary option. Ratepayers should not be forced to pay for a smart meter they don’t need and they don’t want. The costs of smart meters far outweigh the benefits. Most of the purported benefits of smart meters are benefits for the utility. Therefore, they should bear some of the costs and risks associated with the meters. The above statements cannot objectively be refuted based upon other information available at this website. Thus, why would ‘smart’ meters ever be installed anywhere for a single consumer? They would not and should not. It is only due to ulterior motives and ignorance that industry groups and colluding organizations are forcing ‘smart’ meters upon consumers when it is known that there are no benefits, although there are substantial risks and abuses. This is why we need more consumer watchdog groups to educate themselves (like the group from Indiana has done) on ‘smart’ meter costs and risks and take a stand in fighting these abusive, not-so-smart devices. Unfortunately, there are some supposed consumer-related watchdog groups that have ‘sold out’ to smart grid industry-related interests. Among them, for example, is the Illinois Citizens Utility Board which is an Affiliate Member of the Smart Grid Consumer Collaborative (SGCC) propaganda organization. Despite the challenges and possible conflicts of interest with some organizations, concerned consumers and activists should encourage their state-based consumer watchdog groups to help lead the fight against smart meters and to prevent them from being further deployed in the United States and elsewhere. 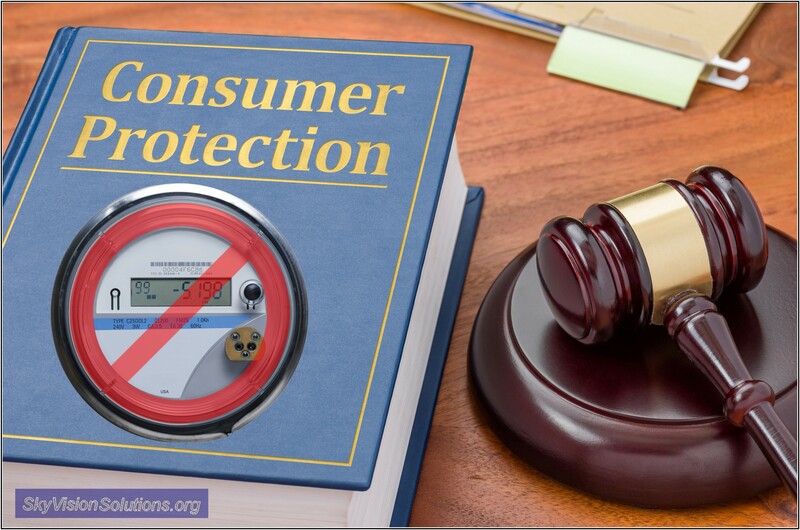 Properly informed on the facts and the abuses that ‘smart’ meters cause, consumer watchdog groups may finally realize it is indeed their responsibility to vigorously oppose them in order to protect consumer interests. This entry was posted in Smart Grid, Smart Meters, and RF Emissions and tagged Consumer Watchdog Groups, Costs, Indiana, Smart Meters. Bookmark the permalink. Get rid of all so-called Smart Meters for Electricity, Water and Gas. 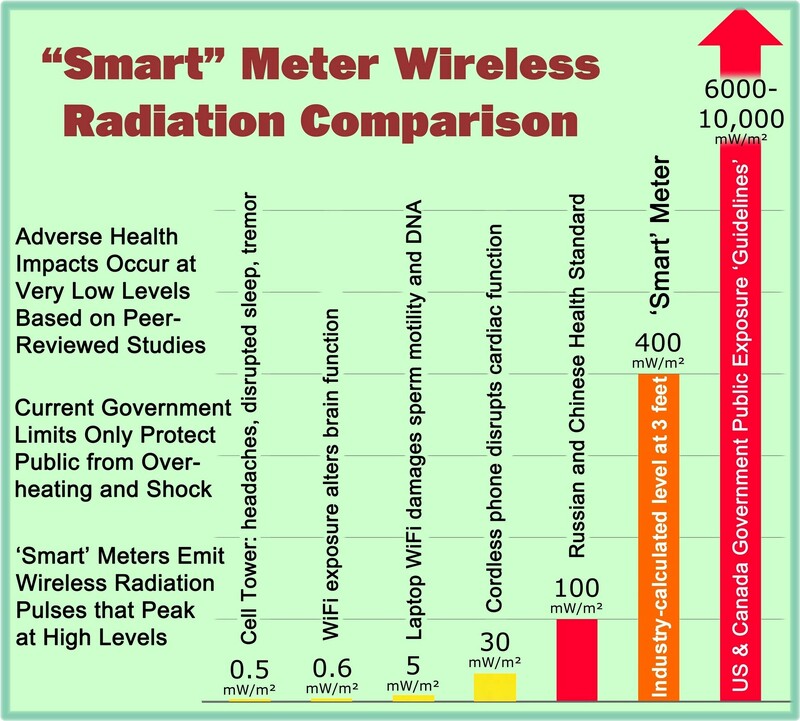 Smart Meters with Microwave broadcasting and receiving are deadly POISONOUS to humans and animals and trees and shrubs and Honey Bees and Bumble Bees and all forms of life.